HÄFELE big sales is here! 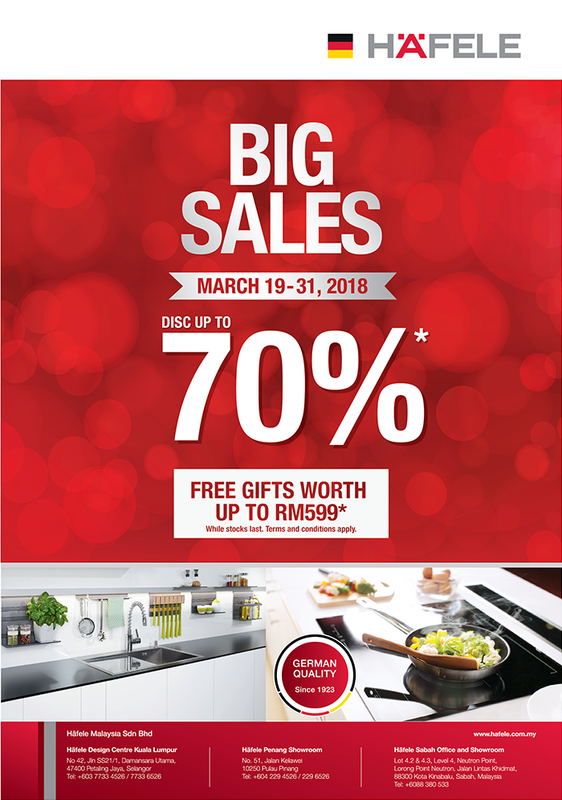 Grab selected items up to 70% off from home appliances range. As well as many other products across furniture fitting and door hardware. While stocks last. Enjoy free gifts with value up to RM 599. Terms and conditions apply. While stocks last.